Other Names: vulgaris Zabel, Peach Kernel, Wild Apricot. Apricot is a native of China, Himalayas and other parts of Asia but is now widely grown in various parts of Europe. In Europe it is cultivated for fruits which are very juicy and tasty. It is a medium sized tree having broad and round leaves and white colour dusky tinged flowers. The Apricot oil is processed by cold pressing the seeds. 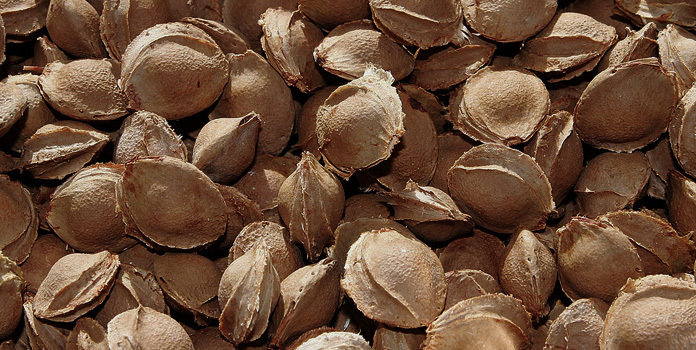 Solvent extraction method is also used to extract oil from the seeds. The oil is viscous liquid having mild nutty aroma and golden colour. It has various chemical compounds like arginine, histidine, lysine, phenylalanine, valine, leucine, crystine and tryptophanmethionine. 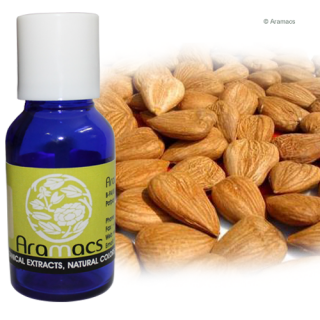 Apricot oil is widely used as a medicine in conventional system of treatment and Aromatherapy for the treatment of variety of diseases. Medicinal Uses: In China Apricot oil is used for the treatment of Asthma and tumors due to its anti tissue properties. It is also very useful in the treatment of inflammations, dermatitis and eczema. Apricot oil is very rich in vitamin A and E. It is also rich in essential fatty acids like oleic acid and linoleic acid. Therefore widely used for rejuvenating skin and for prematurely aged skins those become dry and chapped.